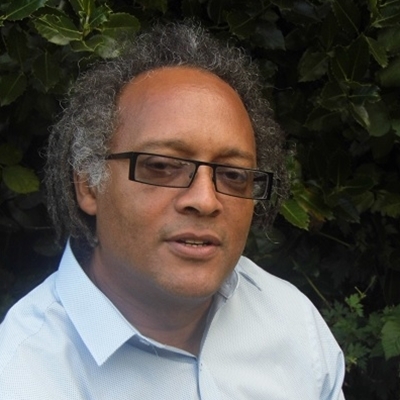 Pete Kalu started writing as a member of Manchester UK’s Moss Side Write black writers workshop and has had eight books, two film scripts and three theatre plays produced to date. For many years he ran a Hulme- based carnival band called Moko Jumbi (Ghosts of the Gods), which took to the streets at Manchester Caribbean Carnival every July on three- feet-high stilts. Watch Kalu pull off the tricks of his writing trade – he can tightrope walk, unicycle and juggle – and learn how he weaves these tricks into his novels, where they are metaphors for frustration, adventure and daring. The author has also spent time (in the name of research!) dressed up as a zombie and acting in a film as a corpse. Learn how to be a corpse and enter his zombie competition. Kalu will also ask you to join him in re-enacting his sporting disasters. All the content relates back to his three YA novels The Silent Striker, Being Me and Zombie XI.